Spoleto is a town in southern Umbria that dates back to Roman times and became the capital of an independent Lombard duchy in the middle ages. 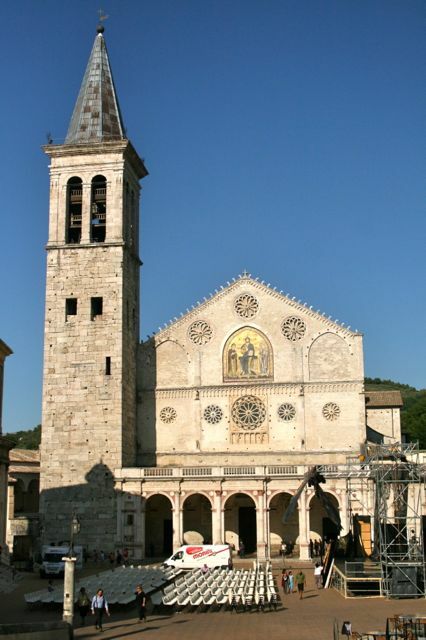 Today it is also famous for the Spoleto Festival, an arts festival held every summer with many events taking place in outdoor locations around the town. These photos were taken when we stopped in Spoleto a few years ago after a day at a nearby Rafting Centre, it was a hot summer’s day and our daughters were tired, so we managed a quick look around followed by a break for ice cream. The Spoleto Festival was on and you can see the stage and seating for a concert in the piazza in front of the Duomo. Spoleto is only an hour away from most of the properties that we let and we really should go back more often, there are Roman arches, an impressive medieval aqueduct and fortress, Romanesque churches dating back to the time of the Duchy of Spoleto and a pleasant, laid back atmosphere. 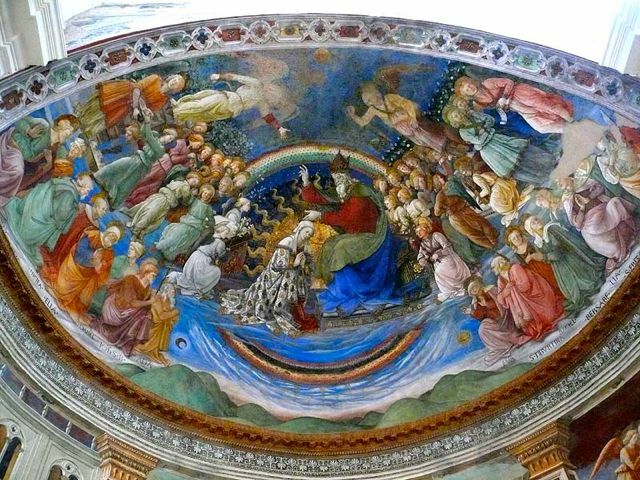 If you are an art lover don’t miss Filippo Lippi’s frescoes on the ceiling of the Duomo.